Senior living. Harvesting ripe tomatoes. 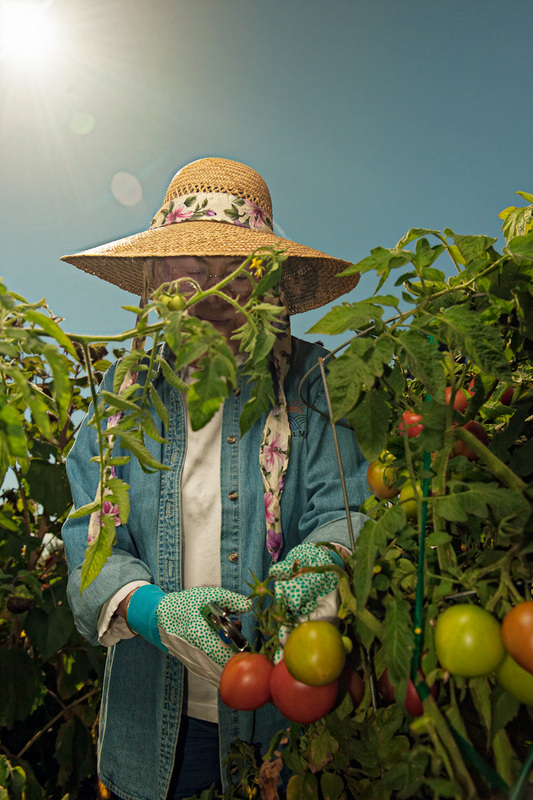 Environmental portraiture by William Bragg, Portland, Oregon photographer.